The Ohio State Bar Association (OSBA) is sponsoring a seminar titled "Commercial Real Estate Law" on August 13, 2010 in Cleveland and on August 27, 2010 in Columbus (Live and via webcast). 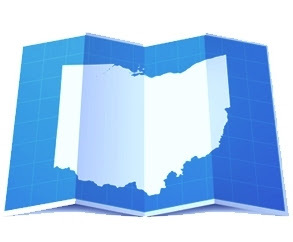 The Cleveland seminar will be held at the Ritz-Carlton, 1515 W. 3rd Street in downtown Cleveland, and the Columbus seminar will be held at the OSBA offices, 1700 Lake Shore Drive, Columbus OH 43204. The Seminar begins at 8:30 am and ends at 4:00 pm, covering topics such as acquisition documents, permanent financing, dealing with distressed commercial real estate and the impact of land use law on commercial development. For more information or to register: go to the OSBA web site or call (800) 232-7124. With all of the foreclosures, and receiverships it would be nice to have a new seminar on avoiding pitfalls when buy properties through forclosure.